Does African American Literature Exist? With Kenneth W. Warren’s recent essay, “Does African American Literature Exist” published February 24th, 2011 in the Chronicle Review, a debate, old, continued on the nature and existence of African-Americans, blackness, and the black aesthetic. Once again, this latest version of the ill-fated debate has begun with a set of philosophical assumptions and by one who has little interest in the terms of the debate. In the space here I wish to address the latter concerns of race, African-Americans, blackness, and black aesthetic production. What I want to focus on is not the potential ahistorical nature of Warren’s essay, nor the hidden assumptions/presumptions of what African and American may mean when brought together. Rather, what I’d like to focus on is the emergence of something like ‘African-American literature’ as a form of aesthetic experience and expression, the kind which brings with it an understanding of history. 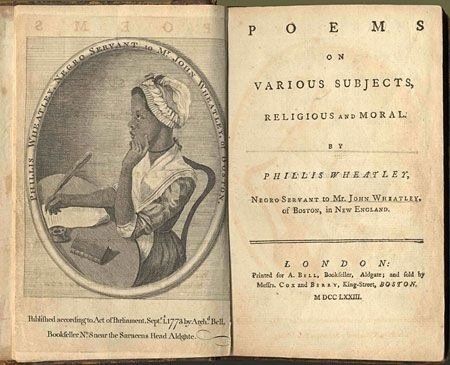 Philosophically, what is of interest in Warren’s essay is the status and role of history itself, as an entity, on black aesthetic expression (literature). It is Warren’s assertion that, “Jim Crow and the fight against it gave rise to—and shaped—African-American literary practice as we have come to know it.” For Warren, Jim Crow, as a moment of American history, serves up its artifacts, one of which is African-American literature. Warren, though, goes on to make a stronger claim as to the nature of history itself in the creation of culture and racial identity when he writes, “Like it or not, African-American literature was a Jim Crow phenomenon…” Warren’s latter claim (especially taken with his former claim above), brings to mind philosopher Jean-Paul Sartre’s 1948 essay, “Black Orpheus” which infamously proclaimed black identity and black aesthetic expression (poetry) to be either pain and suffering (under oppression), or to be nothing at all. One wonders aloud with Warren’s essay whether he believes that “what is often called the black soul is white man’s artifact”. While it may not have been Warren’s desire to weigh in on the intellectual debate on the nature of history and its relation to aesthetic expression generally, black aesthetic expression, specifically—as well as culture and identity—he nevertheless has staked a position. History, in Warren’s essay, is a force: that is, a set of events, exogenous to the life-world of peoples, that acts upon them offering them a series of experiences which help to necessarily shape not only aesthetic expression, but frame their world-view. And, though Warren himself may openly reject the very idea of history as determining or necessary (in any way), his essay seems to enliven a kind of mechanistic materialism, African-Americans, in this case, would be akin to any other physically existing material thing, affected by some force that works to determine and necessitate. In this case, to understand African-American literature all one needs to do is understand the history of racial oppression in America from 1896 to 1970 (though this may seem pejorative, Warren’s essay does lend itself to this reading). va vous expliquer comment vous pouvez télécharger , installer et utiliser des polices arabes dans Windows . vapeur . Ceci se fait facilement » commençons par ouvrir le fichier sur votre Mac dans Keynote .